Frank Vecella is a principal in McKool Smith’s Dallas office. Prior to joining the firm, Frank was with Ericsson Inc. for 16 years and served as associate general counsel of litigation. In that role, he managed and supervised all of Ericsson’s significant litigation in the United States and Canada and often provided guidance with respect to Ericsson’s major disputes in other parts of the world. Prior to joining Ericsson, Frank was a senior partner in the Texas-based law firm of Jackson Walker L.L.P., where he worked for 18 years. His practice focused on general commercial litigation, with primary emphasis on intellectual property litigation, deceptive trade practices, unfair competition, insurance coverage disputes, defamation, and other First Amendment-related litigation. Frank is a master in the Honorable Barbara M.G. Lynn American IP Inn of Court. He also currently serves on the executive committee of the Institute of Law and Technology at the Center for American and International Law and on the advisory panel for the Tsai Center for Law, Science, and Innovation at SMU Dedman School of Law. 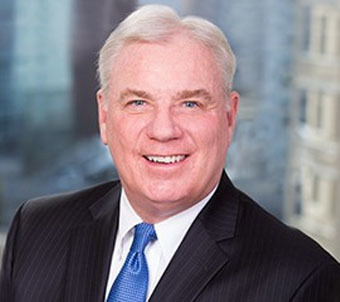 In addition to national, state, and local bar associations and activities, Frank has served in the past as a barrister in the Dallas Inn of Court and as a research fellow of the Southwestern Legal Foundation. He also has donated his time and services in a pro bono capacity through the South Dallas Legal Clinic and Legal Services of North Texas.